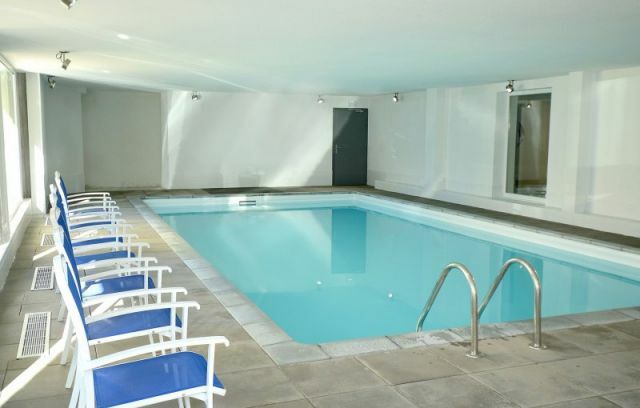 The "Ours Blanc" residence is located in the heart of the "Les Deux Alpes" resort. For your wellness holiday in the Oisans region, it offers a heated indoor pool, a relaxation room, a fitness room, sauna and hammam. For a sporting holiday the residence also offers free walking with a mountain guide, so that you can discover the abundant nature around your holiday home. The 2 Alpes is also an extremely dynamic holiday resort that offers all kinds of activities suitable for all ages and tastes: summer skiing, adventure course, horseback riding, golf, summer sports, minigolf, paintball, fishing, tennis, archery, hiking, mountain bike, trampoline, paragliding , swimming, white water sports, fun water activities, fit fit, spotting center etc. just to name a few. Cinema and discotheques await with an evening of entertainment. -Adventure park, beach volleyball, football, horseback riding, 9-hole golf course, summer sledging, dévalkart, minigolf, paintball, trout fishing, quad bike, motorbike test, tennis, archery, mountain bike and downhill tracks), trampoline, inflatable structures, paragliding ..
- Sports center, L'Acqua Center with: sauna, whirlpool bath, hammam, bodybuilding .. The apartments, sleeping between 2 and 10 people, are all equipped with a kitchen corner (vitroceramic hotplates, with 2 or 4 burners, micro-wave /grill, fridge with freezer and dishwasher), a bathroom, separate toilet and generally a balcony. Fee-paying flat-screen TV and WiFi in the apartments. Indoor heated swimming pool, relaxation area with fitness room, sauna and hammam with entrance, ski locker and laundry, at extra cost. - Deposit and tourist tax to be paid at the property upon arrival. The deposit will be returned to you within 8 days on the day of departure, after inventory or sent by post. The accommodation must remain perfectly clean. Otherwise a legal sum of the deposit will be deducted.